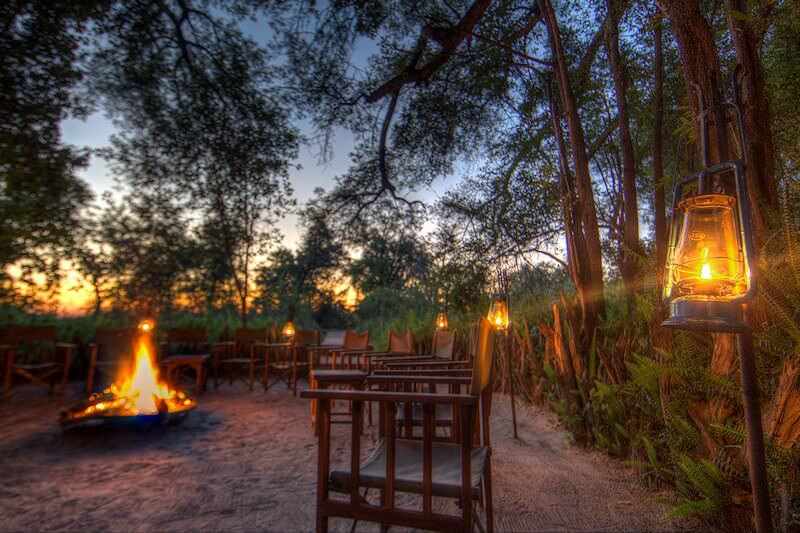 Camp Moremi is tucked away in the verdant greenery of the Okavango Delta. 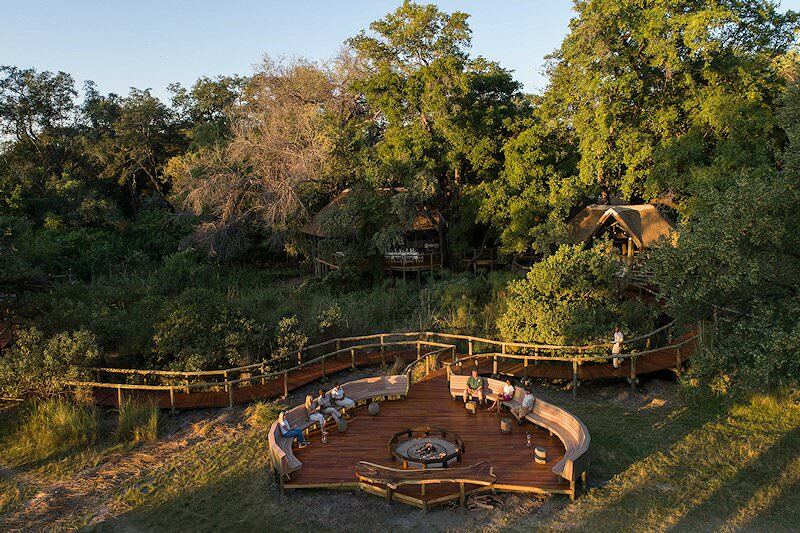 Camp Moremi is situated in Botswana in the Moremi Wildlife Reserve. 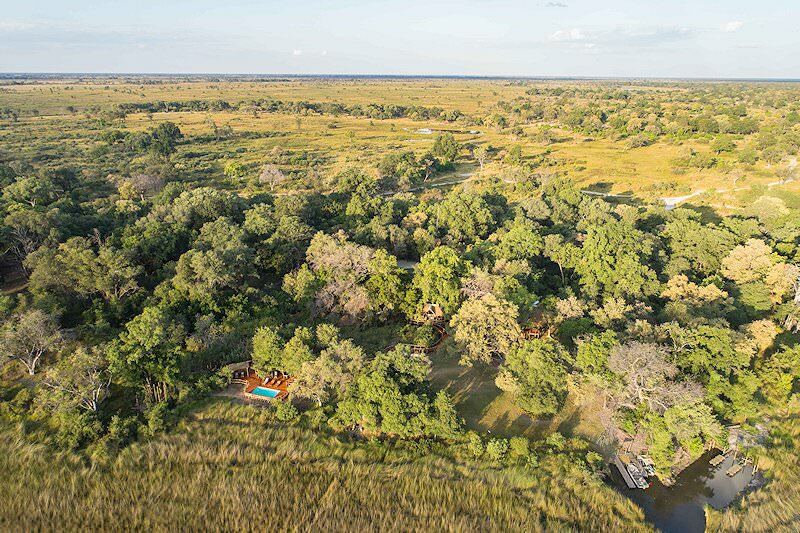 Here, on the eastern edge of the Okavango Delta, you will have an authentic Botswana safari in the midst of the splendor created by the permanent life source of the waters of the Okavango. The delta is among the largest in the world and draws an awe-inspiring amount of wildlife to its natural spoils. 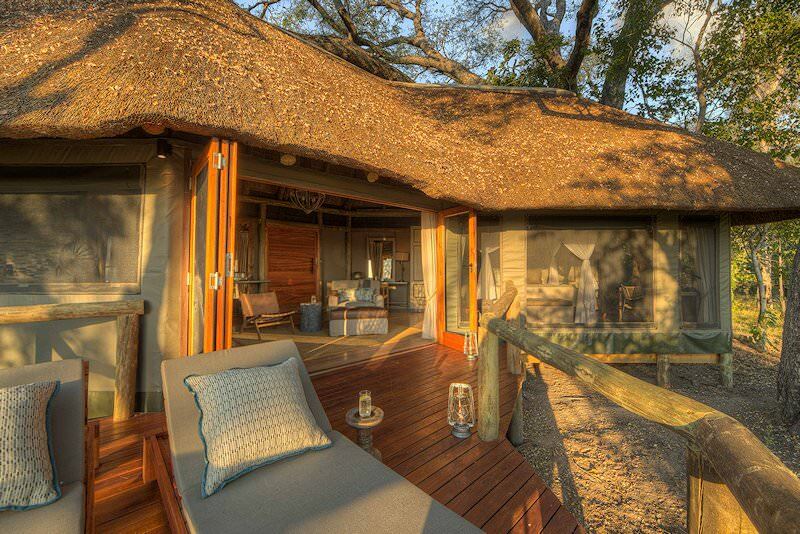 The accommodation offered by Camp Moremi consists of eleven African safari-style tents, placed on platforms above the ground. 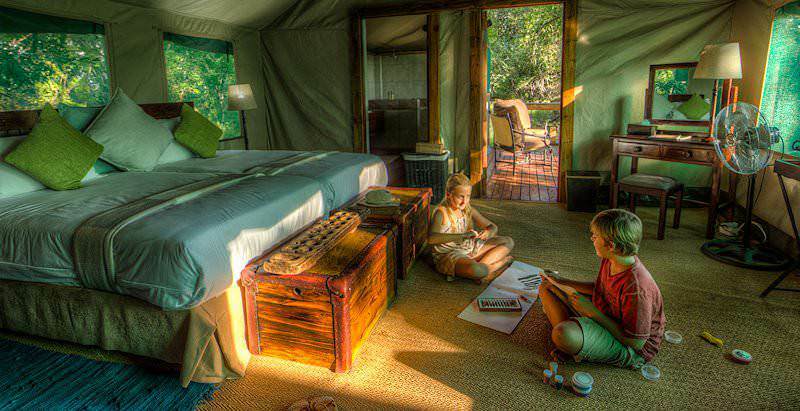 Each tent has its own private en suite bathroom and viewing platform. 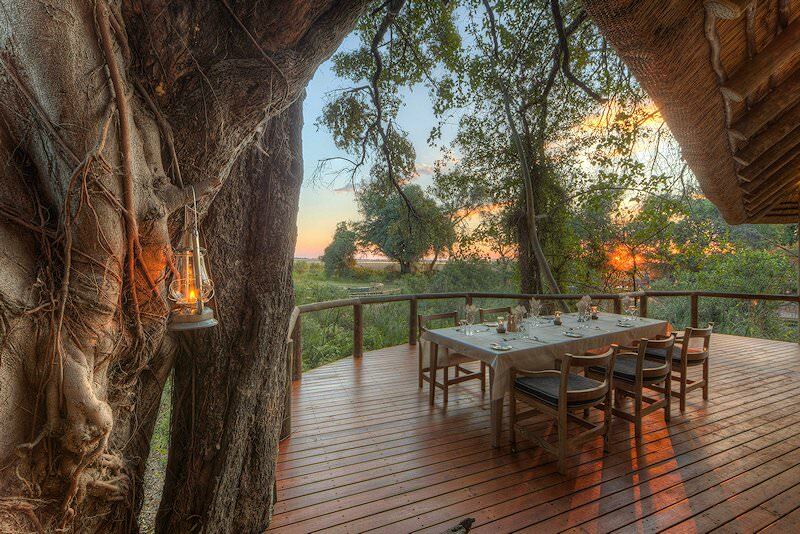 To enjoy a stress-free African safari, the accommodation includes all meals, laundry service, local drinks and game viewing on land and by motorized powerboat on the delta. 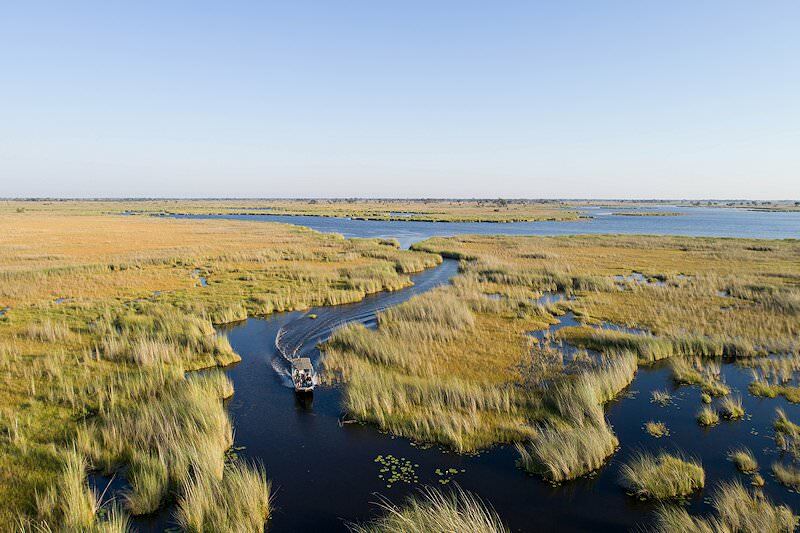 The area's abundant wildlife, exquisite bird watching opportunities and warm African hospitality, coupled with game viewing in open 4x4 safari vehicles and exploring the Xakanaxa Lagoon and Okavango Delta by powerboat, will leave guests with an unforgettable safari experience. In between riveting safari activities, relaxing in camp with the ever-present sounds of the wilderness will prove just as memorable. 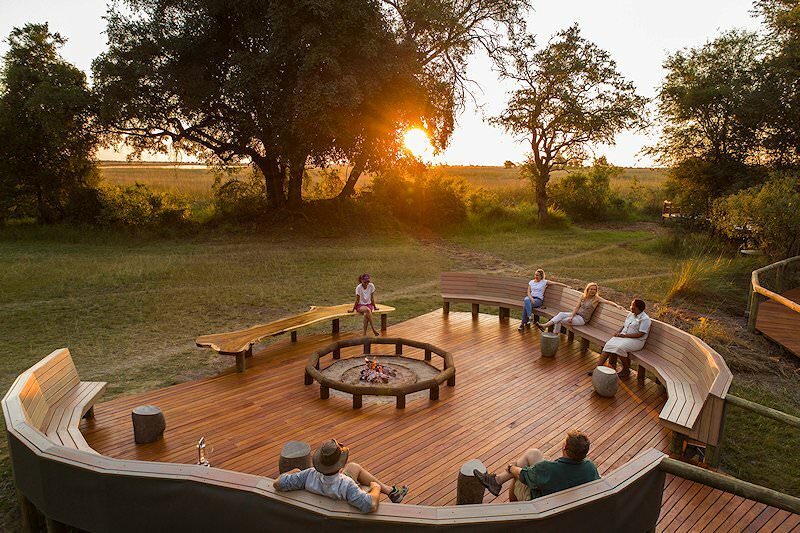 When booking a African safari package to Camp Moremi, guests fly from O R Tambo International Airport in Johannesburg to Maun for their Botswana safari and are transferred to the camp in the Xakanaxa region of the Moremi Game Reserve. 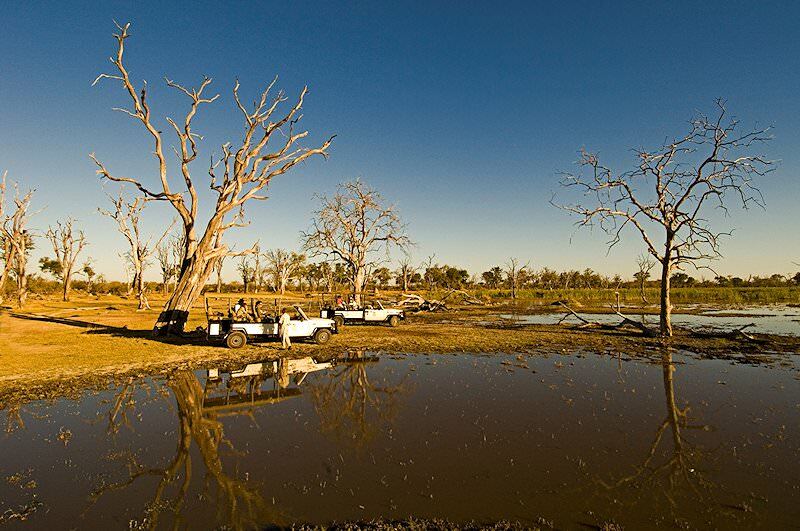 Explore the reserve with a knowledgeable guide in one of the camp's open 4x4 vehicles or by motorboat on the Boro River. For a more tranquil safari experience, skim the waters of the lagoon in a dugout canoe or ‘mokoro'. Seize the opportunity to get closer to nature on a bush walk or grab a scrumptious picnic on one of the nearby islands - specially prepared for you by the camp staff. Sip on cocktails beside the pool while contemplating your next spectacular lion, cheetah or wild dog sighting. 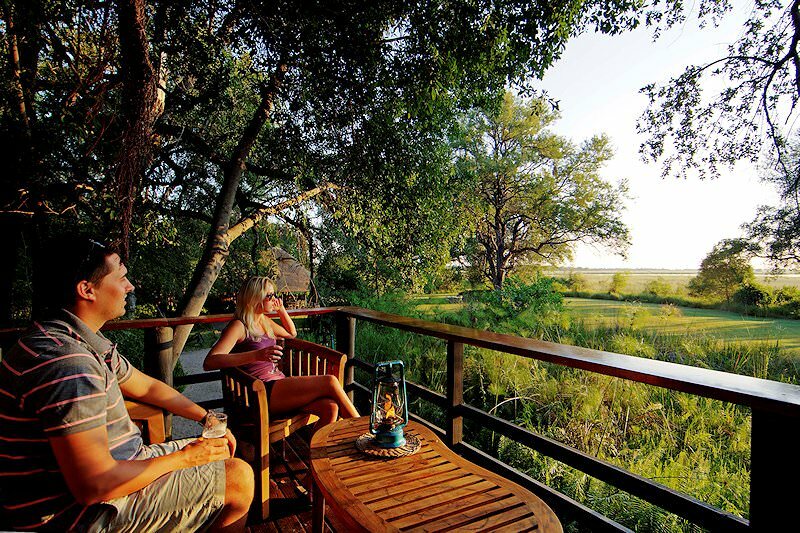 This safari package offers an authentic escape into Botswana's breathtakingly wild landscape. 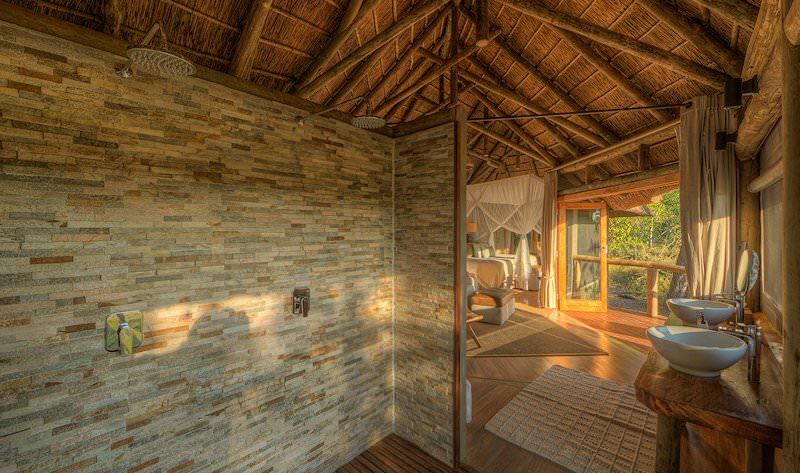 Camp Moremi is very comfortable, though not luxurious by any standard. The area in which the camp is located is one of the finest game viewing areas in the Okavango, with regular sightings of wild dog notable. 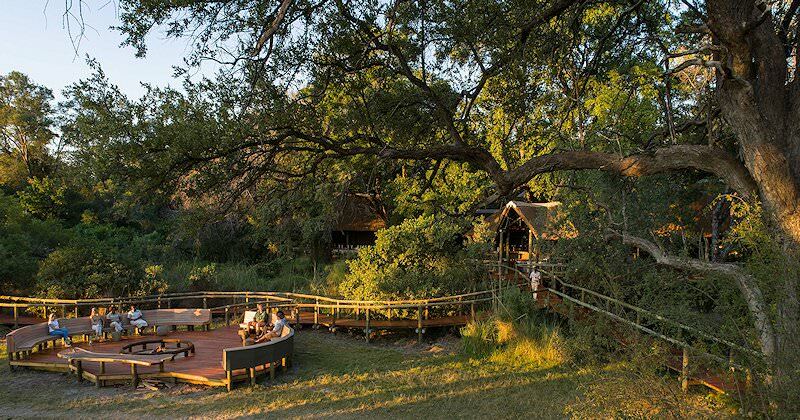 The camp has the advantage of offering both water- and land-based game activities, which definitely makes for better game viewing than at an Okavango camp with only water-based game viewing activities. Travel to South Africa for a wide range of tour and safari experiences. 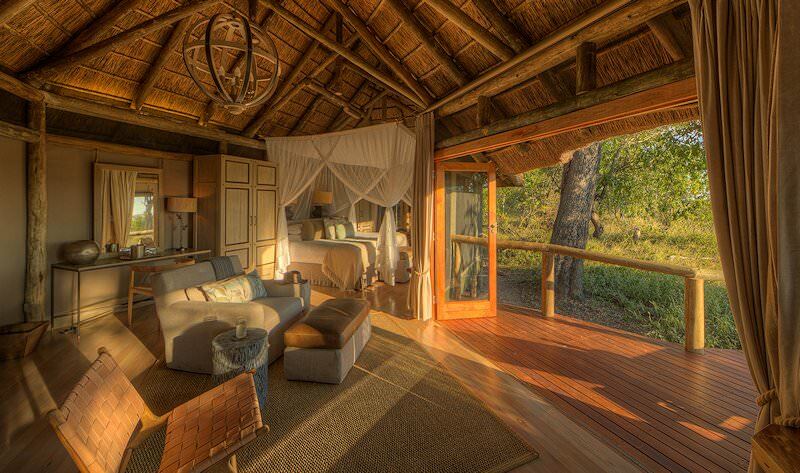 Botswana's stunning safari areas include the Okavango Delta and Chobe. Namibia's top destinations are Sossusvlei, Swakopmund and Etosha National Park. Zambia offers remote and authentic African safari experiences. Mozambique is known for its gorgeous islands and temperate waters. Our Kruger Park safaris are our most popular safari packages, offering great variety and catering to a wide range of budgets. We offer luxury African safaris to the continent's wildest corners, from South Luangwa National Park to the Moremi Game Reserve. A Big Five safari is characterized by unforgettable encounters with the continent's most impressive mammals. We offer comprehensive packages to a wealth of exclusive African safari lodges, from the Sabi Sand to Etosha National Park.